Good tips, I worked in hospitality as a clerk and as manager. Never ran a motel but I did run a hotel. The price point is crazy and may people have no idea. on any given day the average room mark-up is at least 100% for cost of maintaining a room (housekeeping, property tax, utilities etc.) The worst is when there is an event in town, you can easily expect much higher mark up.One competitor of ours had the last room in town and they rented it for $200, it was economy class and normally rented for $59. I am happy to be out of the business as I feel less like a crook now. Oh my. America isn’t the only source of seedy m/hotels. I would definitely save $75.99 Canadian Dollars and never, ever, EVER stay at the Clover Inn Motel in Oshawa, Ontario, Canada. I will blog about this experience. You will find out why. Stay tuned. I’ve slept in my car a couple of times but the money I saved in hotels I ended up spending on chiropractors. Going on a road trip is always fun. You get to spend more time with your family, you get to sing all your songs on the CD you made specifically for road trips and you get to eat your lunch in a diner you found along the road. The best part, however, is you change your comfortable and soft bed for an old and squeaky one in a motel. 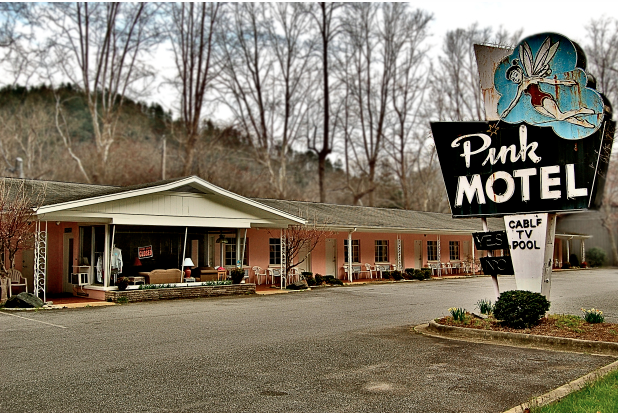 I´ve been to a few motels myself and it were all amazing experiences although, your “How to tell you are in a bad motel” list made me remember some funny situations. Thank you for that!